I’m so excited the day after I eat at Andiario, I tell everyone I know about it. I make phone calls. I write emails. I bore friends. It’s stupid, because I can’t even properly explain yet why I liked it so much. So I sputter and gush, all the usual governors of my enthusiasms (snark, cynicism, a firm belief that everything eventually will end up awful) washed away on a wave of love and adrenaline. Order This: Everything on the menu. Seriously, all of it. Bring friends if you have to. Don’t miss a bite. 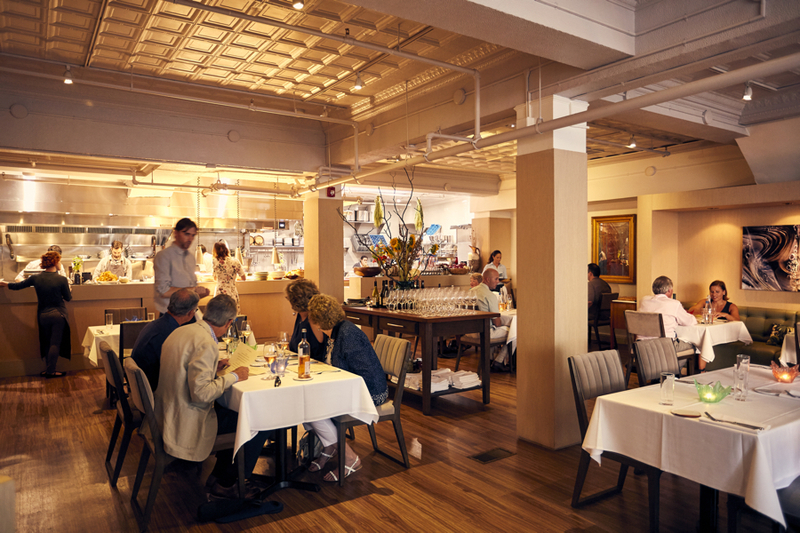 Here are the basics: Andiario is the newish restaurant from Anthony Andiario and his girlfriend, Maria van Schaijik. She works the front; he runs the kitchen. Both of them came to West Chester from Phoenix — from the restaurants of Chris Bianco, a legend out West. A legend everywhere, really. His Pizzeria Bianco is the kind of place that people make pilgrimages to. His Tratto, the same way. And Anthony Andiario ran Tratto for Bianco. Heirloom tomatoes bleeding sugars and summer warmth, topped with shreds of crabmeat and grilled dragon beans still in the shell. The beans taste smoky, the char accenting their green savor. The crab and tomato play together like comfortable neighbors. There’s a carpaccio of veal scattered with shelling peas, pickled trumpet mushrooms and crumbles of blue cheese — a perfect square, glossy and pink, touched with salt. Rolling it all together against the edge of my fork, I don’t know what to expect. Then I taste it. Then I close my eyes. It is, perhaps, the best single bite of anything I’ve had in a long, long time. Five ingredients. Simplicity turned into art at such a high and incomprehensible level that my whole brain just goes quiet in appreciation. The pastas? You have no idea. Three on the menu, no more. They change weekly, nightly. They’re Anthony’s passion. All handmade, all from locally grown and milled grains. They’re his connection to his Italian-American roots, time spent wandering in Rome, his training with Bianco. And they are stunningly good. 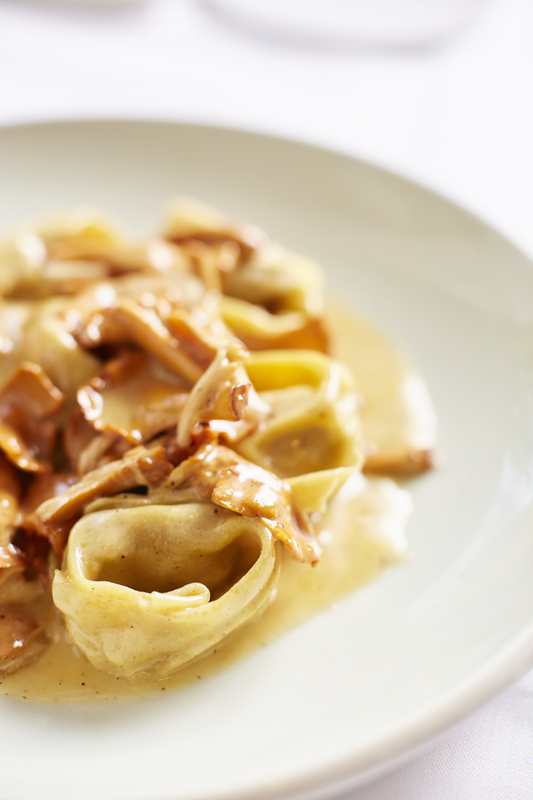 Veal tortelli with chanterelles in a silky, golden butter sauce. The simplest tagliatelle scattered with smoked ricotta actually blackened from the grill and cherry tomatoes that go off like tiny hand grenades in your mouth when you bite them. But when the braised pork shoulder hits the table, it’s even better. Impossibly, almost, with the bar set so high. 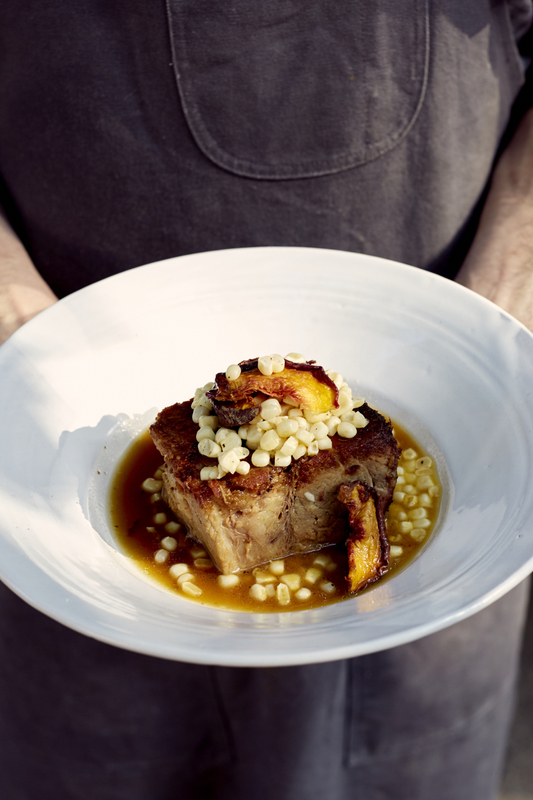 But the fresh corn, the brightness of summer peaches against the slick fat of the pork, the slightly sweet and vinegary sting of the broth in the bottom of the bowl? There is nothing so good as the moment I tasted it for the first time. I’ll remember it for 10 years. It takes days for me to understand what it is about Andiario that so moved me — that seems to move everyone who eats there and then goes back out into the world to proselytize. What I believe about Andiario is this: It’s a place where the food matters more than anything, where the process matters, where the sourcing matters — not as a farm-to-table humblebrag or as lines on a P&L worksheet, but because where something comes from and how it’s produced actually matter. 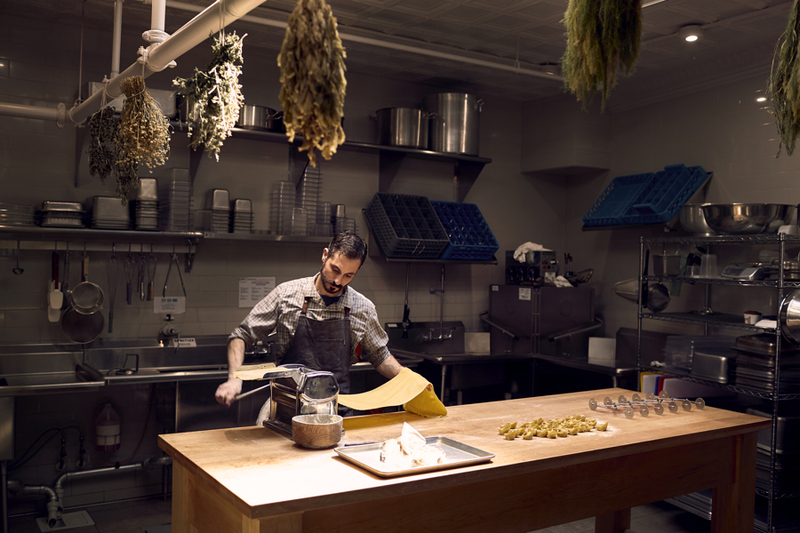 The kitchen has dedication, talent to burn, and all the pioneering enthusiasm of newness. Anthony cooks what he loves and sends out every plate like he’s signing his name. Like it’s a piece of his life he’s lending you for the night. There’s no pretense here. No guile. To experience a night at Andiario right now is like watching a bunch of NBA pros play a pickup game on some sweltering afternoon on a blacktop court. Play, not for money, not for acclaim, not for victory, but just for the love of the game. That’s what they’re doing out in West Chester. Playing for the love of the game. And weirdly, I hope Anthony and Maria never read this. I hope no one shows them this review, or these stars, or my stupid, clunky words. Because I don’t ever want them to change what they’re doing. I don’t want anyone in that kitchen to think that anyone is actually watching. I want them to care about what they care about and keep on doing what they’re doing, and I want Andiario to remain frozen in this perfect moment between joy and the inevitable acclaim. I just want them to keep playing like they’re playing right now, forever.